Level 1 classes provide babies & toddlers with a stimulating setting to explore their new movement and language skills with a sense of security, comfort, and confidence. A sensory-rich yet caring and gentle environment where parents get to bond with their child while they explore and react to new sounds, sensations, objects, and movements. Level 2 classes encourage older toddlers to initiate their own ideas, nurturing social-emotional growth and cognitive development in a playful, exploratory environment. Level 2 follows the parent-child class structure, building children's independence but still nurturing the parent-child relationship. Level 3 classes are designed to engage preschoolers’ natural love of music and activate their imaginations, while developing their growing language and social-emotional skills. Level 3 combines independent class time reserved for instructor and children with a sharing time at the end of class, building children's independence but still nurturing the parent-child relationship. 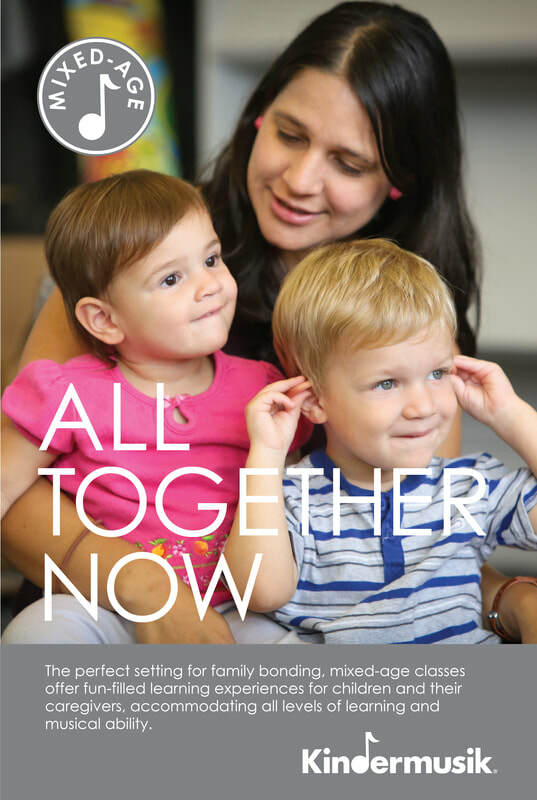 Mixed-age classes allow infants through five year olds and their caregivers—to gather together for a funfilled learning experience, accommodating all levels of learning and musical ability. ​Sing N Move is easily incorporated and harmonious with daycare and Preschool curriculums. 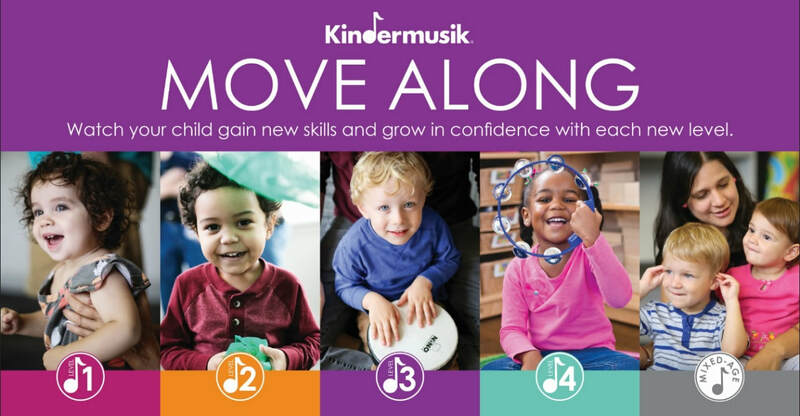 Our program supports whole-child development, improves school-readiness with fine/gross motor skill practice, and boosts social experiences through the joys of music making.